Let me tell you about Kilmichael House. Drumnadrochit (near Loch Ness). It is a lovely Victorian House , standing alone in its own grounds surrounded by a grove of very impressive Sequoia Trees. In days gone by it was the home of the village doctor and today it has been sympathetically converted into a very comfortable home from home in the Highlands with many original features retained in particular the open reception hall with a rather nice elegant staircase that leads to the bedrooms on the first floor. 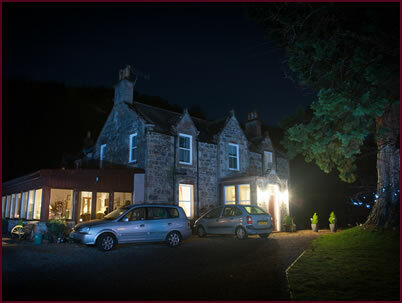 The house is fully centrally heated and has ample free car parking both on and off site. 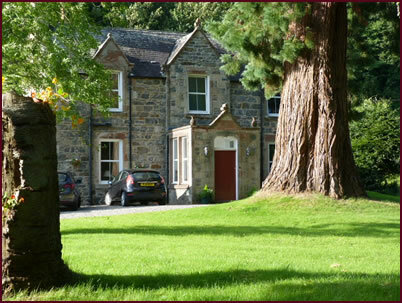 Kilmichael House is an Adult Only Property (we do not accommodate persons under the age of 17 years). 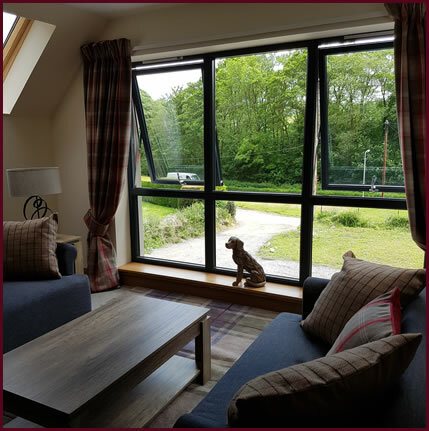 Kilmichael Lodge – new in 2017, Kilmichael Lodge is modern with a traditional twist and also an Adult Only Property (we do not accept persons under the age of 17 years). 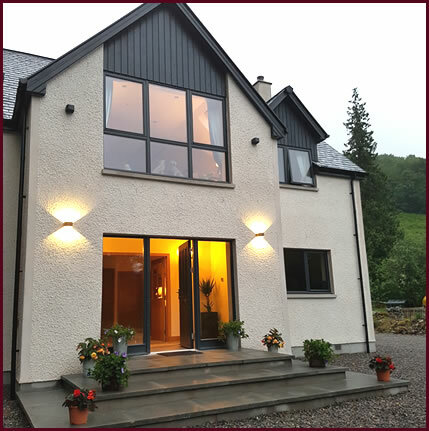 Newly built Kilmichael Lodge is a very spacious modern property with high quality finishes. Providing 4 new Guest Bedrooms, all rooms and public areas are light, centrally heated and designed to provide comfort for guests whether for one night or more. 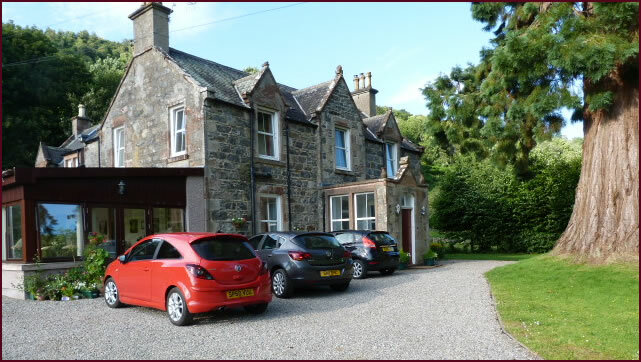 There is ample car parking onsite at the front of the property. We want all our guests to enjoy Kilmichael House and Kilmichael Lodge and their surroundings and therefore to ensure that our facilities and services meet your requirements we ask you to please, prior to making a reservation to check out our FAQ’s carefully which answers some frequently asked questions and more importantly, also notes our terms and conditions.